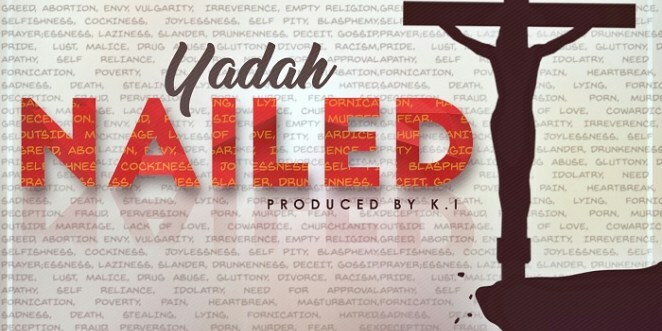 Exactly one Year after releasing her debut Single “Goodie Goodie”, Abuja based Gospel artiste “Yadah” who is known as the #VoiceOfJesusToNations hits us with another Christocentric song titled “Nailed”. She is also behind hit singles like I’m confident & You fell for me. Nailed is a song birthed from Colossians 2:14, Speaking with her concern for the Song she said “Christ has nailed all of our wrongs and all its repercussions, the negative and unfavorable account tagged with our names are forever wiped. By that once and for all sacrifice we are justified”. This song is for the believer in Christ, it’s an expression of all we gained as Christians after Christ’s death and redirection. “Nailed” is released off Yadah’s forthcoming EP #TheBloodCovenant.